Oh Deer. 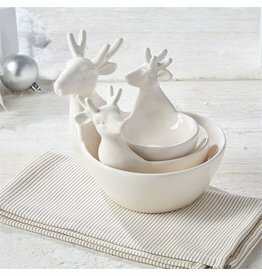 Ceramic Nested Deer Bowls Set of 3. Sizes: 4x3x3.25 to 7x5.75x6 inches. Two's Company Fine Decorative Home Accents and Gifts.